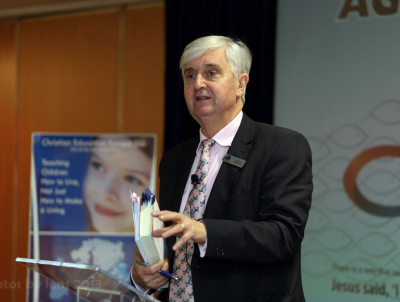 Christian Education Europe (CEE) has played a key part in the growth of the Christian Schools movement in the UK and across Europe during the last 25 years. A supportive organisation, it exists to encourage, inspire and equip Christian teachers and parents to provide a radically different educational opportunity for children and young people. For those wanting a Christian atmosphere and ethos, using distinctively bible-based material, CEE offers an individualised learning programme, staff training and in-school assistance. For the growing number of parents wanting to take full responsibility for their children’s education, there is the home-education arm of CEE, called TEACH, which provides materials and support as well as access to a network of like-minded parents. Running a Christian school or home-school is not an option for the faint-hearted, so access to quality educational materials, support and training is key to effective teaching. The encouragement of being part of something bigger can make a real difference for parents, teachers and students. During each year Christian Education Europe organises a number of events, including the annual teacher’s conference, in-service training days, and the European Student Convention, where students gather for sporting, musical and drama events, fellowship and bible teaching. For many, this is the highlight of the year and the culmination of months of preparation. Thanks to the discipleship and training element, it has also proved to be a turning point in the lives of many students.